Maria's Space: Remastered Hello Dolly On CD Starring Bette Midler - Check it out on Spotify NOW! 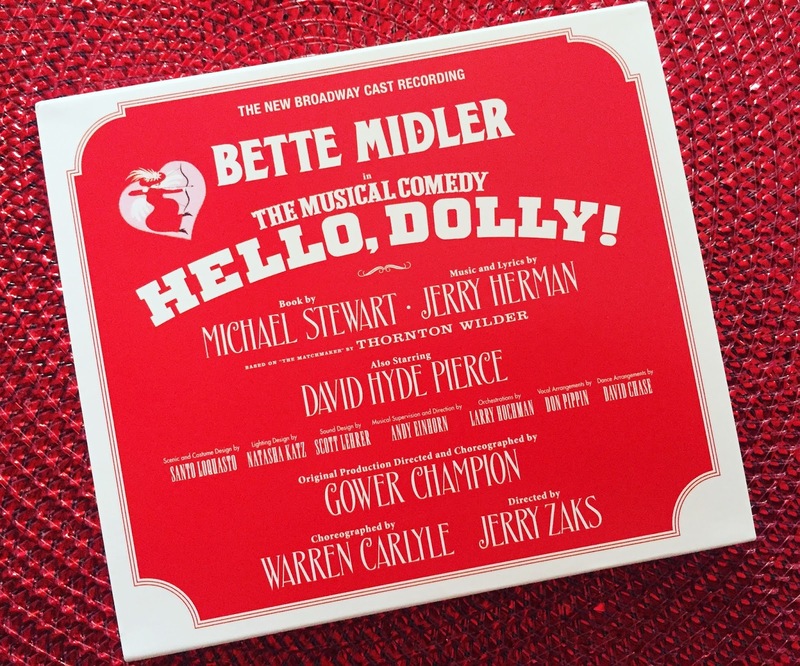 Remastered Hello Dolly On CD Starring Bette Midler - Check it out on Spotify NOW! New York, NY – Masterworks Broadway proudly announces the release of The New Broadway Cast Recording of Hello, Dolly! starring three-time Grammy Award-winning legend Bette Midler as Dolly Gallagher Levi. Produced by multiple-Grammy Award® winner Steven Epstein, with a cast of 37 and 28 musicians, the album will be released May 12, 2017 and is available for preorder now. The Broadway revival of Michael Stewart and Jerry Herman’s masterpiece Hello, Dolly! is directed by four-time Tony Award® winner Jerry Zaks and choreographed by Tony Award winner Warren Carlyle, Hello, Dolly! is now in previews at Broadway’s Shubert Theatre, with an official opening night of April 20, 2017. Hello, Dolly! instantly became the hottest ticket of the year when it broke the record for best first day of ticket sales in Broadway history. By the time it began previews, it had the largest pre-performance advance sale in Broadway history. Recently, the production shattered the record for the highest weekly gross of any show in the history of the Sam S. Shubert Theatre – a record set by a previous tenant over a nine-performance week -- in just seven performances. The complete creative/design team for the production features three-time Tony Award® winner Santo Loquasto (Scenic & Costume Design), five-time Tony Award® winner Natasha Katz (Lighting Design), Tony Award® winner Scott Lehrer (Sound Design), Andy Einhorn (Music Direction), Tony Award® winner Larry Hochman (Orchestrations), Tony Award® winner Don Pippin (Vocal Arrangements), David Chase (Dance Arrangements), and Telsey + Company (Casting). Masterworks Broadway is a label of Sony Music Masterworks. For email updates and information on Masterworks Broadway please visit www.masterworksbroadway.com. Hello Dolly starring Barbara Streisand was one of my favorite movies growing up. My dad had bought it on VHS and it was so long that it came with two tapes VHS 1 and VHS 2. My sister's and I loved the songs and loved Barbara so I was very interested to see how Bette did with this as I am a Bette fan and still have my Bette Vinyl as well as the Hello Dolly record. Immediately I thought hmmm...it is not how I remember. There were songs that I wanted to sing along to that just weren't the same. So my first thought was NO! I want to hear what I know. Then I thought wait! Listen, you love Bette, you love the songs so listen. I loved it. The songs hold up and in fact, seemed a little more modern. Oh...it was splendid! The parade will never pass Bette by. She is amazing and her voice was perfect for Dolly Levi!